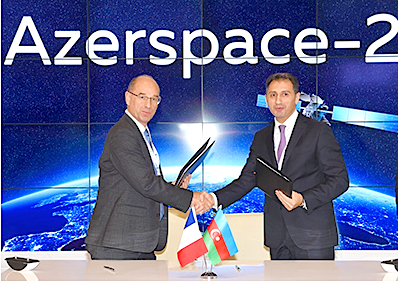 The launch services contract for Azerspace-2/Intelsat-38 will be orbited by Ariane 5 on a mission expected in 2017 was signed by (from right to left): Azercosmos Chairman and CEO Rashad Nabiyev and Jacques Breton, Arianespace Senior Vice President, Sales and Customers. [Satnews] Azercosmos and Intelsat (NYSE: I), provider of satellite services, have chosen Arianespace to launch the Azerspace-2/Intelsat 38 telecommunication satellite. The satellite will be launched by an Ariane 5 launch vehicle from the Guiana Space Center, located in Kourou, French Guiana. “Arianespace is honored to continue its longstanding partnership with Intelsat and be selected again by Azercosmos for the launch of its second satellite, following the success of Azerspace/Africasat-1A on February 7, 2013. This contract will give us the opportunity to implement a tailor made launch solution that complies with both Azercosmos and Intelsat requirements, hence demonstrating our capability to address the needs of both regional and global satellite operators worldwide,” said Stéphane Israël, Chairman and CEO of Arianespace. Expected to launch in 2017, Azerspace-2 will be Azercosmos’ second telecommunications satellite, and will expand on the current capacity of Azerspace-1. It will support growing demand for Direct-to-Home (DTH), government, and network services in Europe, Central and South Asia, the Middle East and Sub-Saharan Africa. 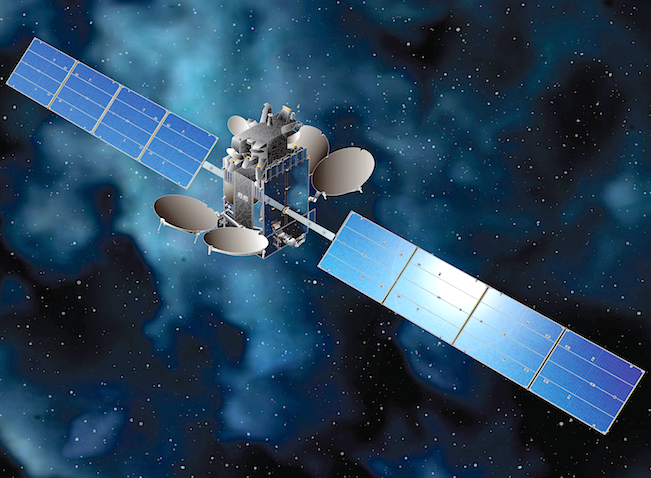 For Intelsat, the satellite will provide continuity of service for the Intelsat 12 satellite currently stationed at 45 degrees East, an orbital location which hosts DTH platforms for Central and Eastern Europe as well as the Asia-Pacific region. Intelsat 38 will also provide connectivity for corporate networks and government applications in Africa. Azerspace-2/Intelsat 38 will be designed and built by Space Systems/Loral. The satellite design is based on the highly reliable 1300 satellite platform that provides the flexibility for a broad range of applications and technology advances.